See below for a listing of some groups offered locally. Note: The CSW is not offering the direct service. The groups are in the community. 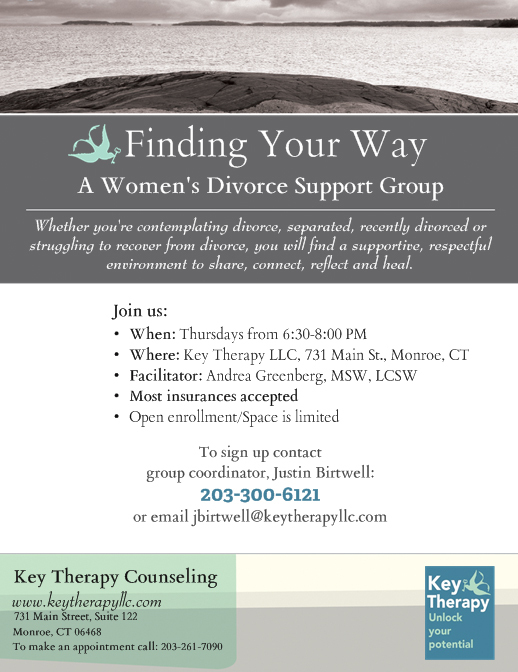 View Flyer Thursdays from 6:30-8:00 PM Group Room, Key Therapy, 731 Main St, Suite 122, Monroe CT 06468 Facilitator: Andrea Greenberg, MSW, LCSW. 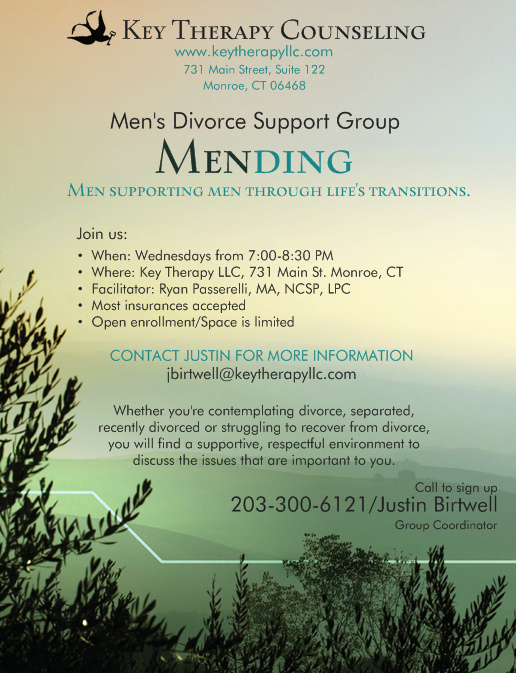 View Flyer Wednesdays from 7-8:30 PM Group Room, Key Therapy, 731 Main St, Suite 122, Monroe CT 06468 Facilitator: Ryan Passerelli, MA, NCSP, LPC. 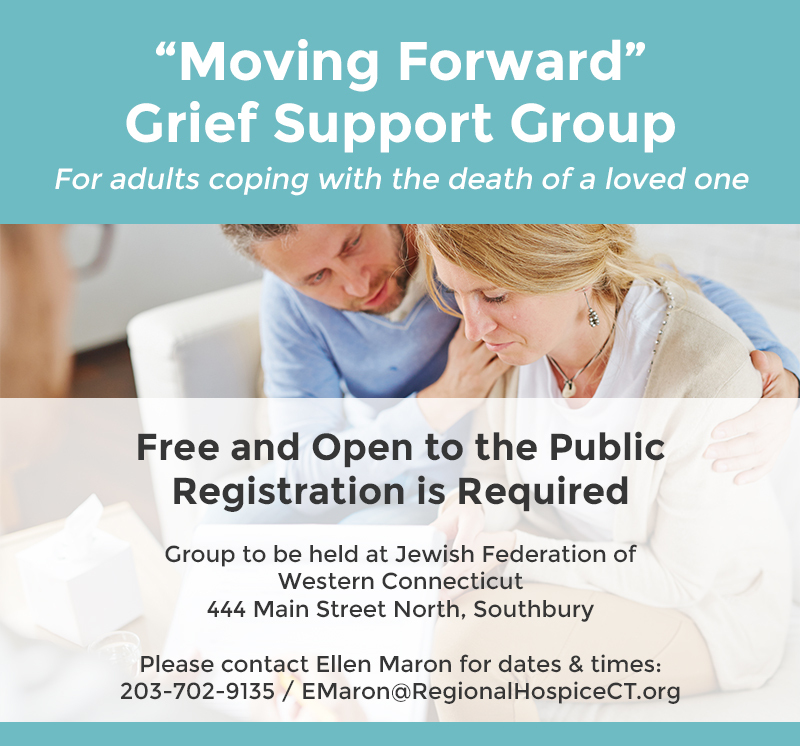 View Flyer Contact Ellen Maron at EMaron@RegionalHospiceCT.org for dates and times Jewish Federation of Western Connecticut, 444 Main Street North, Southbury Free and open to the public. Registration is required. 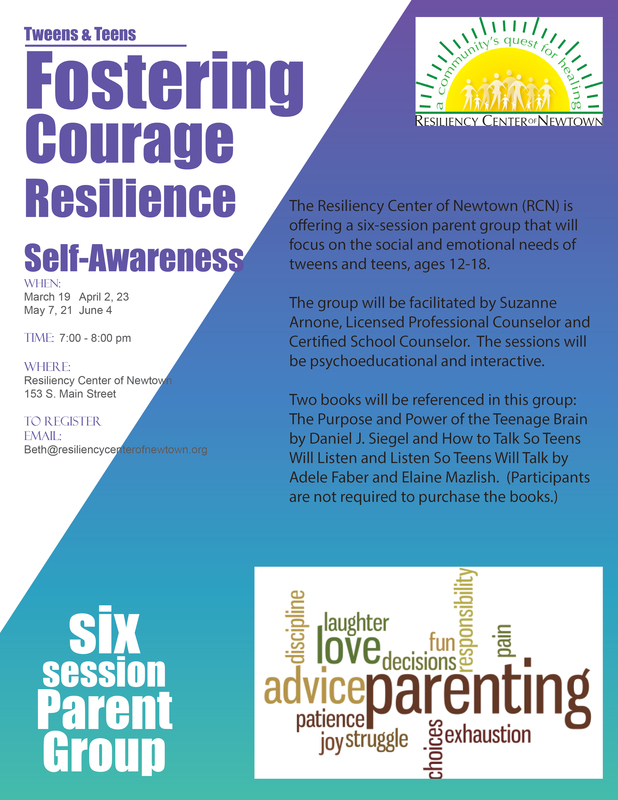 View Flyer March 19, April 2 and 23, May 7 and 21, June 4; 7-8pm Resiliency Center of Newtown (RCN), 153 South Main Street, Newtown Registration is required. This is a six-session parent group. To register email beth@resiliencycenterofnewtown.org. Thursday’s starting March 15th, 10am-12pm Resiliency Center of Newtown (RCN), 153 South Main Street, Newtown No cost to participate. Registration required. Call (203) 364-9570 or email beth@resiliencycenterofnewtown.org to register. 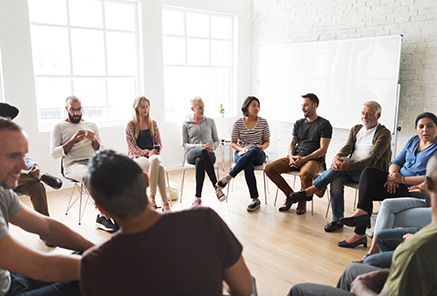 Netown Parent Connection; support, guidance, and resources to parents and caregivers of loves ones struggling with issues of substance use, abuse, and addiction. Come socialize, get support and problem solve while learning about local resources and self-care. This support group is free. Walnut Hill Church in Bethel. A look at managing anxiety, depression and discovering the you you may have forgotten. Beginning in May. Two groups- on on Tuesdays at noon or Thursdays at 5:30pm. Contact Karen Schaum, LPC 203-270-9888 ext 2.